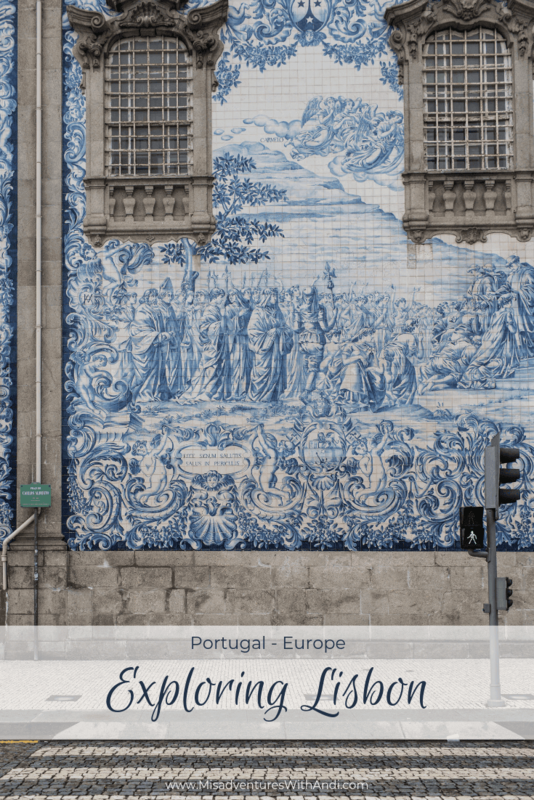 When planning our itinerary for our Viking River Cruise in Portugal’s Douro River we knew we wanted to take advantage of the opportunity of being in Lisbon, even if it was for just a few days. (We had a cat and an RV being watched by my parents so we couldn’t stay forever…even if we wanted to!). We flew in one day before our Viking itinerary began and stayed three days after the cruise ended. 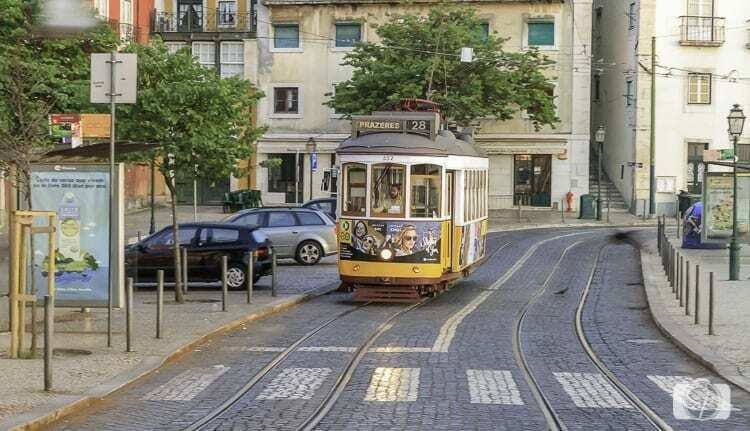 Someone on Instagram had told me I would appreciate Lisbon because it was so much like San Francisco – I just couldn’t believe how much it was like San Francisco. The hills, the cable cars, earthquakes, the overall size, a food market like the Ferry Building, their own Golden Gate Bridge (made by the same people who built the one in SF!). It was weird, a good weird and Mr. Misadventures and I loved it! Here are some of the highlights from our four days of exploring. While scouting spots for sunrise photography (remember who I was traveling with!) we headed to Tower of Belem which was totally empty that early in the morning, perfect! We went back later with Viking as part of our city tour excursion when there was a lot more activity. We would have loved to have gone up the hundreds of steps to the tower to see the surrounding view and took look down. (Next trip!) There are some beautiful wavy tiles at the base. 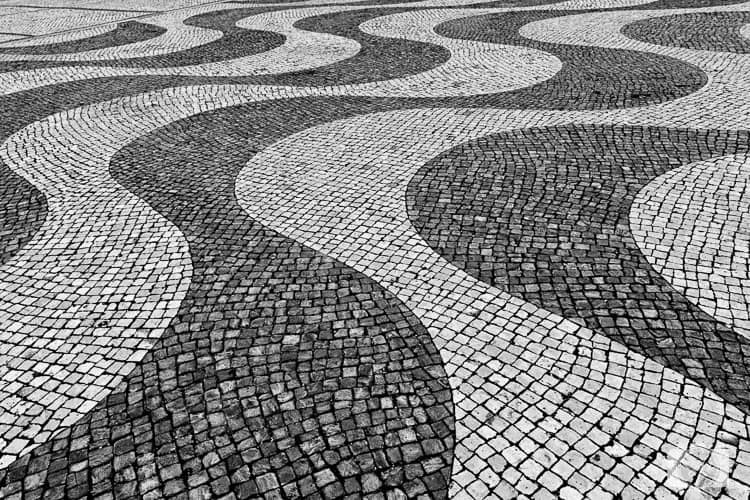 Beautiful tiles would be a theme throughout our entire trip in Portugal. Tip: Try to have exact change or coins. The drivers get grumpy when they have to make change. Unfortunately, the routes have different prices so do your best! 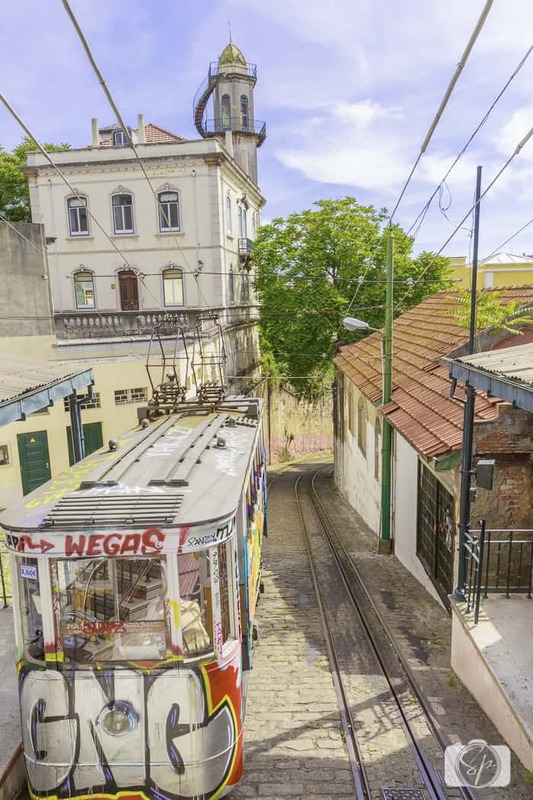 Because of the hilliness of the city, there are also trams (referred to as elevators) in some of the neighborhoods to help the residents climb the hills. We spent a lot of time around Bica because it was just above the food market (see below). It wasn’t running, out for maintenance, so it gave us an opportunity to photograph it without it being in motion, plus the slope to the bottom offered a great view which Mr. Misadventures captured above. Of course that shot was also at 6 in the morning, otherwise, there are local residents (and tourists) climbing up and down the hill making it hard to get the hill, or the elevator, all by itself. These elevators are really mostly used by locals in the residential neighborhoods and are “decorated” by local artists on an almost daily basis. Like the one above in Lavra. Totally empty in the middle of the day, great for capturing it without a lot of people riding in it. The building that houses Lisbon’s market has been cut in two. One side is the main market, restaurateurs/chefs purchasing goods in the morning (we know, we were there at 6:30) as well as locals a little later. The other half of the building is an upscale food court where some of the city’s best chefs have stands. There is a bar in the middle and the perimeter has all kinds of Portuguese cuisines as well as a sushi bar and hamburger joint. 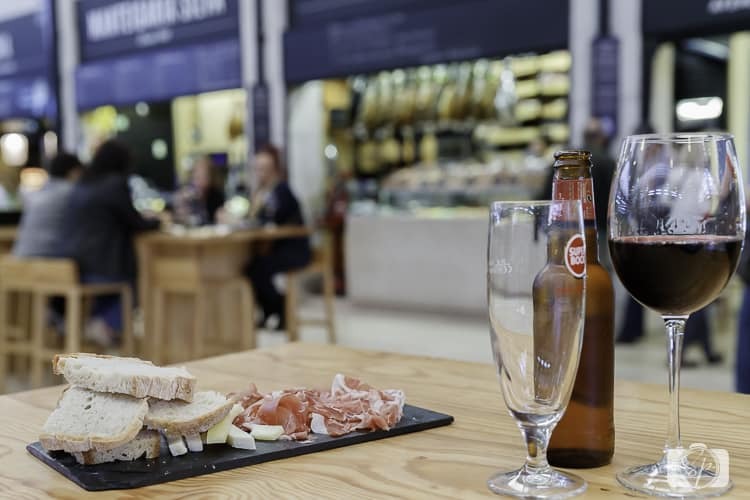 We landed there on our first night and had an apéro with Iberian ham, sheep’s cheese and local beer (me) and wine (the hubby). I have to say it was mainly locals and we had a good time people watching. We went back another night for carry out. Everywhere we went in Lisbon, and in Portugal in general, we met super friendly, passionate people. It was awesome. Given that we were out and about in the very early morning hours, we also met our fair share of intoxicated people. This is Natasha and friend at the Bica Elevator. We were there to shoot sunrise photos, they were climbing up the hill returning from an all-nighter dancing and drinking. Natasha stopped to tell us about Madeira, one of the Portuguese islands where she is from. She is a very good ambassador for this part of her country. She told us all about it. How wonderful Portugal is, etc. She spoke perfect English (her companion as well). She requested her photo multiple times, so Mr. Misadventures obliged – she was standing in his frame anyway, not much else he could do. After 30 minutes her friend convinced her to leave and we enjoyed a chuckle, Natasha had certainly made the start of our day quite colorful! Santa Justa Lift – the lines are always crazy long to go on this Eiffel-inspired elevator. We ran out of early mornings to see how it is at sunrise. 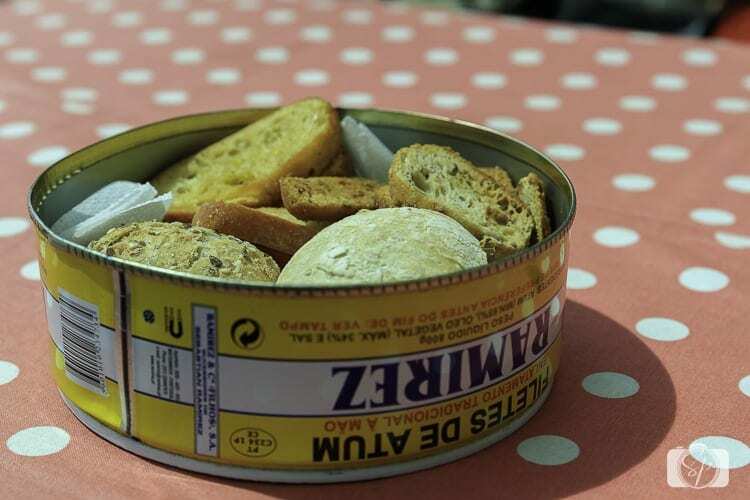 Whenever you go to a restaurant, you will be served bread and olives. Don’t eat them unless you want to pay for them. This was a mistake that Mr. Misadventures and I made our first lunch out in Lisbon. 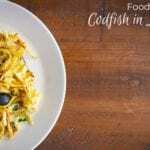 Good restaurants will state on the menu. Others will just serve you and unless you look at your bill closely, you’ll pay for them without noticing. it is a known thing, we just didn’t know. How about you? 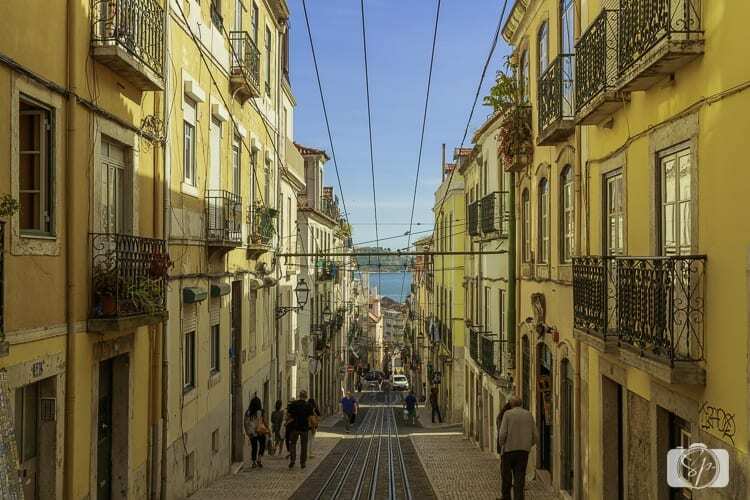 Have you been to Lisbon, what was your favorite part? If you haven’t been, is it on your bucket list? Do tell! Disclosure: This is NOT a sponsored post, my 4 days in Lisbon, all expenses were paid by me. However, my flights to Lisbon were paid for by virtue of my sponsored trip with Viking River Cruises. I am determined that one day I will be able to afford to go on a Viking River Cruise! I just love you pictures for they give a great depiction of your adventures. 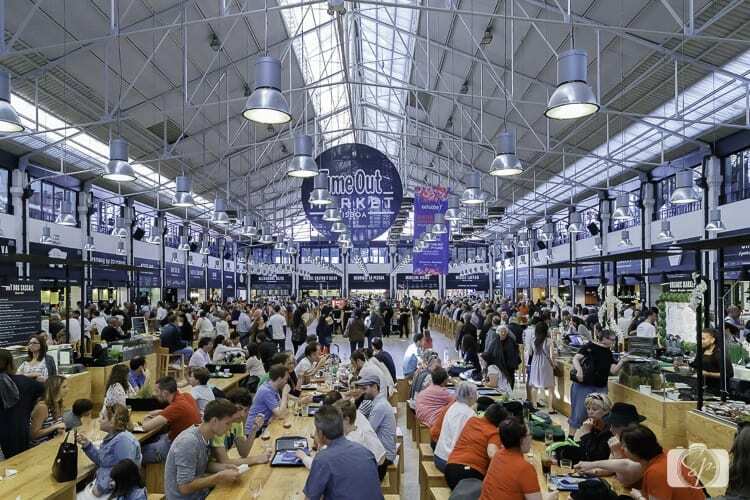 I know I would love to visit the Lisbon’s market. Markets to me are the heart of the city and you can really take in the people and the culture. It looks fabulous and I can see the resemblance to San Francisco with the trams and steep hills! Can’t wait to go there, now! They do the same thing in Italy with bread a lot, and water, too. It’s not bad if it’s a reasonable price, but sometimes I think it’s just a scam. I would never have guessed that there would be so many similarities between Lisbon and San Francisco! How random! I’m a huge fan of old buildings, so I love the Tower of Belem! And your shot of the tram tracks on the hill is amazing! 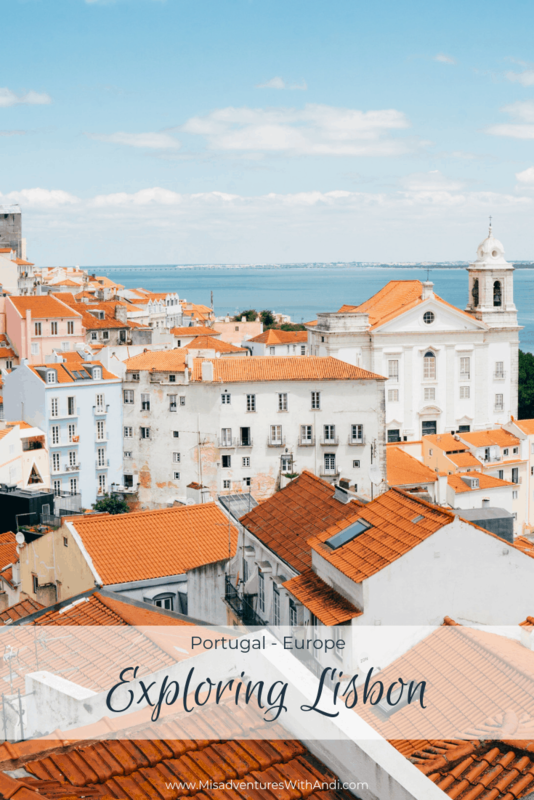 I never knew I wanted to go to Lisbon, but now I’m adding it to my list! That looks like a fantastic trip. The photographs are a lesson in perspective. It looks like Lisbon just made my list. Wow, those pictures are just beautiful, just simply amazing. It makes me want to go to Lisbon. Libson looks like the kind of place that I’d love to visit. I think my husband would love it too! What an adventure! We have never been to Lisbon, and quite honestly I’ve never really gave it much thought. After seeing your pictures and reading about your trip — I’m convinced that I need to visit! It looks so beautiful and full of life. I have never been to Lisbon. Not even close. I do hope my husband and I will travel more when our daughter is grown up and on her own. Which really is not too far away, she just turned 17. My boyfriend and I were planning on taking a trip to Portugal this summer so you have some really great suggestions of things to do and see. Thank you! The photos are truly breath taking! Thank you. It looks like an amazing place. 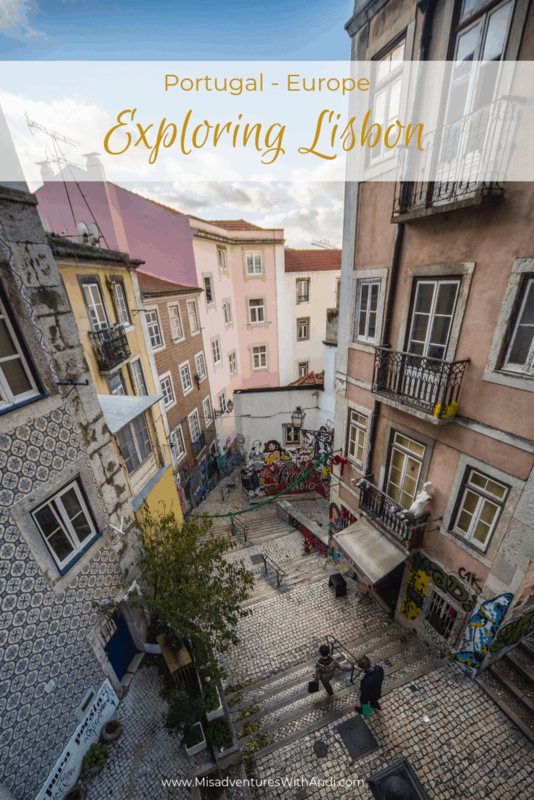 Just added Lisbon to our Vacation wish list thanks to your post! ha! Your photos are amazing and make me want to go right now! The colors of the buildings are so fun – why dont we do that here?? Amazing photos!!! My family is actually from Lisbon and I have explored every inch of the city myself and can’t get enough of it!! What an absolutely stunning place to visit. I would have wanted to drink in every single moment. I think it’s awesome how you were able to capture so many great images. Now you have those memories forever. These pictures are great. I don’t think I could in one of those homes. They’re so close to one another. 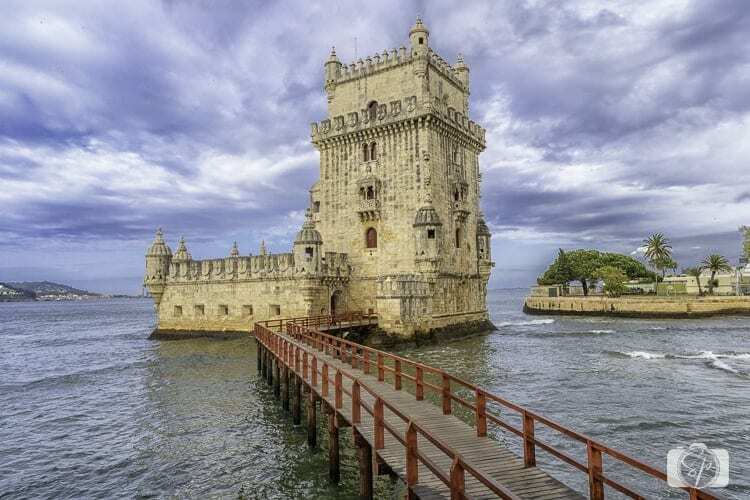 Portugal is at the top of my travel wish list. 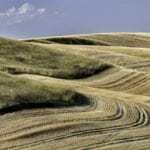 Not only does it seem like such a beautiful and friendly place to visit, but it also is culturally similar in some ways to Brazil, so my husband and his family have always wanted to go there. Hopefully within the next couple of years! 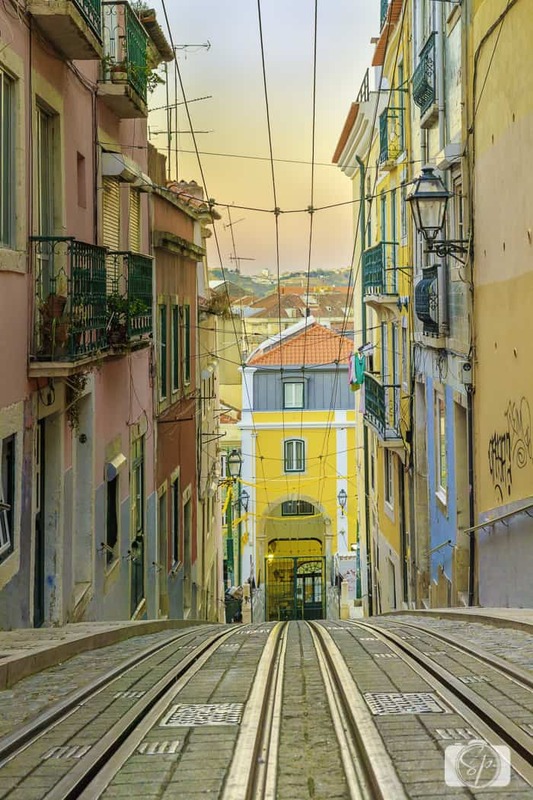 These photos show off Lisbon beautifully. @Jenna, it is unbelievably friendly and I felt welcomed wherever I went. There is so much history too, Portugal had such a prominent role. Lisbon itself is very easy to get around and reminds me a lot of San Francisco!